LAS CRUCES, N.M. – The New Mexico State Athletics Department, in conjunction with US Bank, is proud to announce this year’s inductees into the US Bank/NM State Athletics Hall of Fame. The class of 2014 will include former women’s basketball star Melanie Maynes-Alfaro, former men’s golfer and men’s golf head coach Scott Lieberwirth and the ‘Voice of the Aggies’ Jack Nixon. The Hall of Fame ceremony will take place Feb. 1 at halftime when the Aggies take on Utah Valley in the Pan American Center. Tip-off is set for 7 p.m.
Melanie Maynes-Alfaro was a member of the Aggie women’s basketball team from 1998-2002 and left Las Cruces as one of the most prolific scorers in the program’s history. Maynes-Alfaro is a member of the coveted 1,000 point club and is currently the ninth all-time leading scorer in NM State women’s basketball history with 1,392 points. She was the captain of the team during her final three seasons as an Aggie. Maynes-Alfaro made an immediate impact for the Aggies, leading the team in scoring during her both her freshman and sophomore years. Her skills, however, were not limited to shooting for the multi-talented 5-foot-6 Maynes-Alfaro. She also led the team in rebounds during her first two seasons, a feat she would accomplish again during her senior year. Aside from leading the team in scoring and rebounding during her freshman year, Maynes-Alfaro also led the team in field goal percentage and finished the season with the top free-throw percentage for a freshman in the history of the program. She still holds the record for highest free-throw percentage of any freshman in program history. Her accomplishments were acknowledged at the end of the season by being named to the Big West Conference All-Freshman team as well as an Honorable Mention on the All-Big West team. Maynes-Alfaro also was named All-Big West Honorable Mention after her sophomore year and garnered a spot on the Academic All-Big West team. NM State moved to the Sun Belt Conference at the beginning of the 2000-01 season, but Maynes-Alfaro continued her streak of being placed on the all-conference teams. She led the Aggies in three-point shooting percentage as a junior and picked up an honorable mention nod for the third-consecutive season, this time for the Sun Belt Conference. Maynes-Alfaro made it a four-season sweep on the all-conference teams during her senior year after she was named to the All-Sun Belt second team. She also was named Academic All-District during her final year at NM State. Maynes-Alfaro graduated from NM State in 2002 with a bachelor’s degree in business administration. She would go on to work for an ad agency in Phoenix until returning to her hometown of Deming, N.M., in 2005. She received her master’s in elementary education from Western New Mexico this past spring. Maynes-Alfaro’s passion for basketball is only superseded by her passion to help young children. She is currently a fifth-grade teacher for the Deming Public Schools. In the summer of 2008, Maynes-Alfaro combined her two greatest passions and began the First Annual Melanie Maynes Basketball Camp. The camp caters to all youth from the Deming area. Showing her love and dedication to her alma mater, Maynes-Alfaro regularly has NM State coaches, trainers, professors and administrators as guest speakers at her camp. As a tribute to the Aggies, she also gives out T-shirts to her campers, which always include white, crimson and black. The Melanie Maynes Basketball Camp celebrated its sixth year of existence in the summer of 2013. Maynes-Alfaro is a native of Deming, N.M., where she graduated from Deming High School in 1998. She was a four-sport standout athlete as a Wildcat, and her No. 5 basketball jersey is the first and still the only basketball jersey to ever be retired at the school. Maynes-Alfaro is married to Mark Alfaro. They have two sons, Ryan and Alex. Scott Lieberwirth left his mark at NM State as both a player and coach for the Aggie men’s golf program. He played for NM State from 1996-2000 and coached from 2003-11. 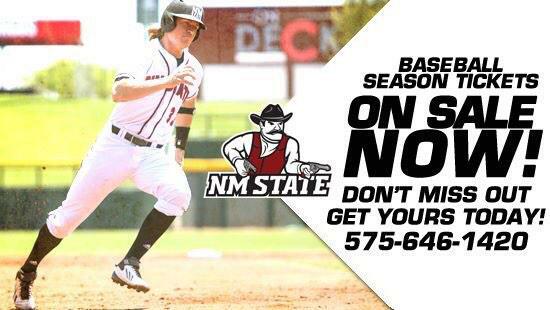 Lieberwirth first came to NM State as a student-athlete in the fall of 1996. During the next four years, Lieberwirth became one of the best golfers for the Aggie program, winning two tournaments, finishing in the top five during seven tournaments and in the top 10 a total of 11 times. As a junior in 1999, Lieberwirth became only the sixth golfer in NM State history to be crowned conference champion after winning the Big West Conference Championship. The following season he would be named the Big West Conference Most Valuable Player and was invited to participate in the 2000 NCAA West Regional. Lieberwirth also excelled in the classroom as he would be honored as a member of the All-Big West Academic team his final three seasons as an Aggie. During his senior year, he also was selected to be part of the 2000 Golf Coaches Association of America Academic All-Scholar team. Later that year, Lieberwirth graduated with honors from NM State, earning a bachelor’s degree in business administration. Lieberwirth went on to play professional golf on the Tight Lies and Hooters Tours from 2000 to 2003. During the Hooters Tour event in Kendallville, Ind., he set the course record for a round after shooting an 11-under-par 61. As productive as Lieberwirth’s playing career was for the Aggies, his coaching career at the university left an even more indelible mark on the men’s golf program. Lieberwirth returned to NM State in the fall of 2003 as a volunteer assistant coach for the program under head coach Larry Beam. Lieberwirth was thrust into the head coaching position before the 2004 spring schedule began after Beam decided to retire at the conclusion of the 2003 fall schedule. Over the next seven and a half seasons, Lieberwirth would become on the greatest coaches in Aggie golf history. After taking the team over in midseason, Lieberwirth led NM State to the 2004 Sun Belt Conference Championship, the programs first conference championship in nine years. It would begin an incredible run for Lieberwirth and the Aggies of six conference titles and six NCAA Regional appearances in eight seasons. NM State joined the Western Athletic Conference at the beginning of the 2005-06 season and dominated the conference throughout Lieberwirth’s tenure with the Aggies. NM State won the WAC Championship during its inaugural season in 2006 and won the conference championship a total of five times in six years, including during Lieberwirth’s final four seasons with the Aggies, from 2008-11. Lieberwirth coached the WAC Player of the Year three times including Matt Edwards in 2006, Travis Reid in 2009 and Tim Madigan in 2010. Edwards and Reid also were crowned WAC Tournament champions in 2006 and 2009, respectively. Lieberwirth’s impact as a coach on the Aggies’ men’s golf program is immeasurable. In the eight seasons as NM State’s head coach, Lieberwirth was honored as conference coach of the year five times, won six conference titles, participated in six NCAA Regionals, had three conference players of the year, two conference champions, won 14 tournaments and coached a total of 20 all-conference players. After winning his fourth-consecutive WAC championship in 2011, Lieberwirth was faced with what he has said was one of the hardest decisions he has ever had to make. Lieberwirth decided to leave his alma mater and take the head coaching position for the men’s golf program at UTEP, a position he still holds. Lieberwirth is a Carlsbad, N.M., native and graduated from Carlsbad High School in 1996. He was the state individual champion his junior year and led the Cavemen to the state title during his senior year. Jack Nixon is currently in his 34th year as the radio play-by-play voice for New Mexico State University athletics. Only 11 other college-radio announcers have a longer tenure at one school than Nixon has at NM State. The ‘Voice of the Aggies’ has broadcast more than 400 Aggie football games and more than 1,000 Aggie men’s basketball games. On Jan. 14, 2012, Nixon broadcast his 1,000th game for the men’s basketball program during a win over Western Athletic Conference foe, Idaho, to join a list of only six radio announcers with at least 1,000 men’s collegiate basketball games called for one team. Nixon has been on the mike during 11 trips to the NCAA Tournament for the men’s basketball team, including three of the last four years, and has worked with legendary NM State coaches such as Ken Hayes, Neil McCarthy, Lou Henson and Marvin Menzies. Nixon has been on the radio during all three times the Aggies have defeated a ranked opponent, the first coming on Jan. 10, 1980, when NM State defeated Larry Bird and No. 9 Indiana State in overtime inside the Pan American Center. He was also the radio announcer as the Aggies defeated their I-25 rival, New Mexico, on Jan. 19, 1999, when the Lobos were ranked 12th in the nation, and the last time NM State has defeated a ranked opponent, Jan. 20, 2007, when the Aggies defeated No. 13 Nevada inside the Pan Am Center. Nixon also has covered basketball games versus Jerry Tarkanian’s No. 1-ranked UNLV teams as well as Missouri Valley, Big West, Sun Belt and WAC basketball championships. On the football mike, Nixon was part of the Aggie football team’s stunning upset over the 22nd-ranked Arizona State Sun Devils in Phoenix, 35-7, on Sept. 18, 1999. He was also on the radio when NM State traveled to Minnesota for its first-ever matchup against a Big-10 school in 2011. The Aggies upset the Golden Gophers, 28-21. Aside from men’s basketball and football, Nixon also has covered women’s basketball, volleyball, baseball and softball during his time at NM State. Nixon first came to Las Cruces in 1976 and began his career as the sports director for KOBE 1450 AM radio. For the past 22 years he also has been the news director for Radio of Las Cruces. During his time as a radio broadcaster, Nixon has won numerous local, state and national awards. In 1977, the Associated Press recognized Nixon with the New Mexico Spot News Reporting Award. The AP also awarded Nixon the New Mexico News Director of the Year award in 1980. In 1979, the National Association of Sports Writers and Broadcasters honored Nixon as its Sportscaster of the Year, an award he would also win in 2012. In recent years, the New Mexico Broadcasters Association has recognized Nixon on numerous occasions. In 2009, the NMBA recognized Nixon as its Sportscaster of the Year as well as its News Director of the Year. He would win both NMBA awards again in 2012. In 2012 and 2013, the NMBA honored Nixon with the award for best feature story and best in-depth news series for his work with NM State. Nixon is a native of Omaha, Neb. where he attended Central High School. After high school, Nixon attended the University of Kansas, earning a degree in 1972.